Countdown to Christmas Tips – Great savings ideas for saving on your food bills. Ideas for using up left overs and cutting your food waste to save money. Perfect Portions – Help to cut your food waste and save money. Reduce Reuse Recycle – We waste more at Christmas than at any other time of the year. Trade Craft – Have an ethical Christmas. How to avoid debit – Try and avoid over spending by planning ahead. Stay Safe and Healthy – Cooking tips to reduce food poisoning. How to avoid feeling lonely. More than 80,000 people a year need hospital treatment for injuries such as falls, cuts and burns during the festive period – don’t be one of them! Stay Warm – Though it has been unusually warm don’t get caught out when the bad weather comes. Stay Safe When Driving – Know your limits and don’t drive when your feeling tired. Soirbheas presents the latest round of grant awards to two enterprising community projects. 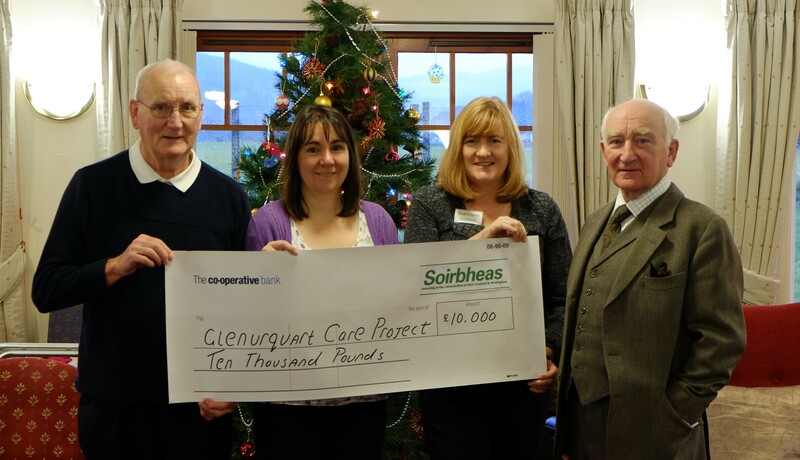 Glenurquhart Care Project £10,000 – GCP will purchase 0.5 hectare of land at the rear of the existing Care Centre in Drumnadrochit to allow development of new amenity housing for the elderly, supported by the services of the Care Centre. Glen Urquhart Childcare Centre £9,000 – The Childcare Centre are recruiting and training an additional member of staff to create new childcare provision for 3 – 5 year old in addition to nursery places to support local families by providing full day care. Soirbheas can also assist groups in Glen Urquhart and Strathglass by helping them to develop projects or identifying other grants/match funding or partners. Check out the funding section on the Soirbheas website www.soirbheas.org which highlights some other funding opportunities or get in touch with the charity’s Community Development Officer, Carol Masheter carolmasheter@sorbheas.org for guidance. 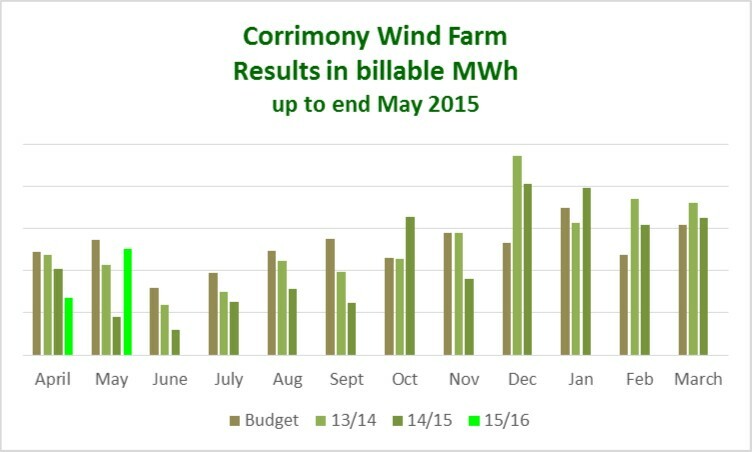 Shared Ownership of Renewables is a new pilot programme of accelerated support to facilitate social enterprise and community investment in commercially owned renewable energy developments. The service will support 40 Highlands and Islands communities and social enterprises to realise an income stream through investment in commercially owned renewable energy. The service will deliver one to one support and a series of tailored development workshops and specialist support to raise awareness of, and accelerate, the completion of investment opportunities. Melanie MacRae, Senior Development Manager at HIE: “We recognise that some communities may not wish to take on the development of a renewable energy project single handedly. We see investment in shared ownership as an alternative model to enable communities to generate a sustainable income from renewables. The programme is due to start in Autumn 2015. Do you want to find a group or club to join but don’t know what’s going on in your area? Want to do some volunteering in your community or meet new people? The next board meeting is on Thursday 19th November 7.30 at Balnain Hall – all members are welcome. Meeting dates for 2016 will be available shortly. 999 or 112 – Which is Best? In the UK 999 and 112 are the same. 112 calls do not have priority over 999 calls. Continue using 999 and you will have no issue. Remember to raise mountain rescue, you must first ask for police. 112 is the pan European standard number for contacting the emergency services and was introduced to run in parallel with 999. It also works in other countries across the world. Do your research when traveling abroad. The absence of a signal on the phone’s home network will mean that it may be possible to obtain a signal on another network. You may be able to place a 999/112 call on the other network, but you cannot receive a call on that network, even if the inbound call is from emergency services. If after a few attempts of dialing 112/99 and your phone has not connected, you can send a text to 112/999 (you have to be pre-registered). You can only send a text from your home network. If you have a weak or intermittent signal on your home network that is the time that sending a text to 999/112 could be a life saver, i.e. not enough signal for a call, but a text may squeeze through. Mobile phones can be located by mobile phone masts when 999/112 is called. The phone’s position, according to the phone network, is sent to the emergency services. This is done by triangulation, and the more masts available, the more accurate the calculated position. So in remote areas ……..
All statements are true for the UK, other countries will vary. The fair not to be missed! 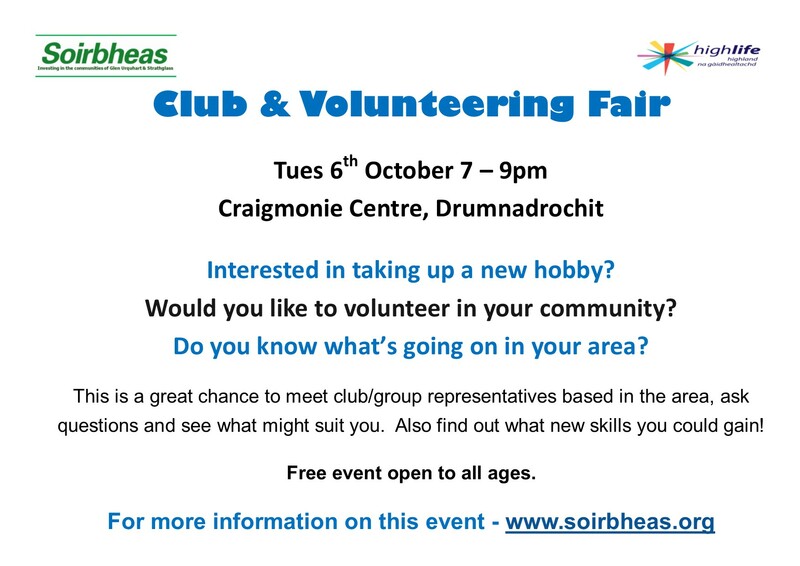 A staggering Thirty groups are joining forces to attend a Club & Volunteering Fair which will take place on the evening of Tuesday 6th October at the Craigmonie Centre in Drumnadrochit. 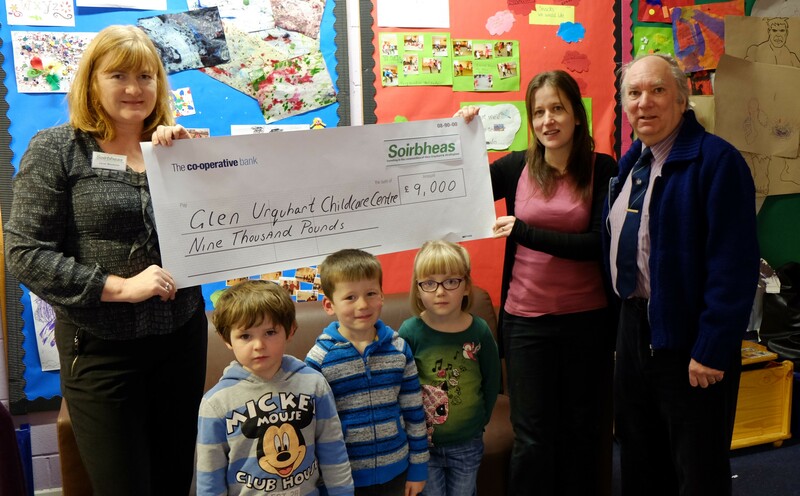 Local community charity Soirbheas is working in partnership with High Life Highland to get local people more involved with local groups and to spread the word about what’s going on in Glen Urquhart and Strathglass. Clubs and organisation’s will be talking to visitors on the night about their group, encouraging new members to sign up, recruiting volunteers and promoting forthcoming events. This is a family friendly event open to all ages and a chance to see what is on offer in your community. There will a chance to see the Black Dragon Scotland Karate club in action, the local fire service carrying out a training session and hear the Drumnadrochit Pipe Band and much more. We have high hopes that this event will give residents of the local community a great opportunity to learn all about the interesting and varied activities going on locally. We hope that the organizations involved in the fair will also benefit by raising their profile and gaining new members and volunteers. If you want to take up a new hobby or sport, would like to help out in your community or simply want to know what’s going on – then come and join us from 7pm – 9pm 6th October at Craigmonie Centre, Drumnadrochit for tea and a chat – entrance is free. Organisations and charities that are helping to protect and sustain Britain’s farming and rural communities can apply for funding of up to £50,000 until 8 October 2015, with £725,000 of funding available in this round. 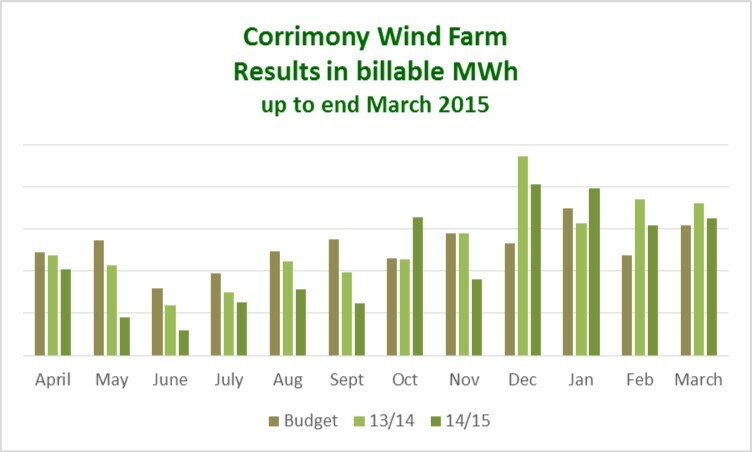 “Rural and farming communities are under immense pressure at the moment. We are looking for projects which will have a long-term positive impact to help sustain our rural areas and encourage enterprise that will help the people who care for our countryside and make it tick. You can contact a member of The Prince’s Countryside Fund team on 020 7566 8797 or email pcfapplication@bitc.org.uk to tell them about your project before going ahead with your application. They can talk to you about whether your project meets the Fund’s objectives and give guidance on what you need to do to make your application. Visit the Prince’s Countryside Fund website to find out more. The fund will close for applications at 5pm on Thursday 8 October. To find out all our latest news and updates including forthcoming events check out the Autumn Newsletter. Over a 100 votes but we still need more! Community charity Soirbheas are the only along Scotland project to be shortlisted for the M&S Energy Fund National Category with a chance to win £40,00o. If successful Soirbheas wishes to invest in the Shenval Hydro scheme being developed near Loch Ness. The money generated from this particular investment will allow Soirbheas to launch a new Apprenticeship Grant Scheme to provide young people with a modern apprenticeship, encourage them to stay in the area and support local business to develop skilled staff. The Glenurquhart Care Centre have been shortlisted for the Regional programme and hope to secure £12,500 to install solar panels at the Care Centre. Please show your support and vote. The First Minister has launched a new funding programme to support community-led broadband projects in rural Scotland. Nicola Sturgeon announced that the new Scottish Rural Development Programme (SRDP)broadband grant scheme is now open for applications on a visit to Oban’s Phoenix Cinema where a new wifi tourist information kiosk has been installed. The First Minister said:”Superfast broadband is being rolled out across Scotland with Scottish Government support, and we are more than halfway towards meeting out target under the Digital Scotland Superfast Broadband (DSSB) Programme. The social and economic benefits are clear, as demonstrated by this innovative and accessible wifi tourist information kiosk in Oban’s Phoenix Cinema. “This SRDP funding will help communities in the hardest to reach broadband areas follow in the footsteps of the pioneering GigaPlus Argyll project, and work together to bring superfast services to homes and businesses.”This scheme takes the available funding for community broadband projects up to £16.5 million in Scotland, over and above the £400 million DSSB investment. It is another step to achieving the Scottish Government’s aim of delivering world class connectivity by 2020 and, enabling people across Scotland to connect any time, any place, anywhere, using any device.” The Scottish Rural Development Programme (SRDP) 2014-2020 broadband grant scheme will be delivered by Community Broadband Scotland (CBS). Visit the Community Broadband Scotland website for more on the fund. You’ll be able to visit over 30 Highlands and Islands homes and a wide range of community events during Green Home Energy Week, which runs from 5th to 13th September. Green Home Energy Week gives you the chance to find out what it’s like to live in a home with energy efficiency improvements and renewables systems. The homes feature a broad range of low cost and innovative energy efficiency improvements including solar powered heating, wind turbines, heat pumps, biomass boilers, wall insulation, loft insulation and everything in between. Register for a visit and you’ll be able to chat to green homeowners about their experiences, and find out more about the free advice and support available to help you make your home more energy efficient. The community events, being held on the Black Isle, and in Elphin, Lochaber, Kingussie and Nairn, give more opportunities to find out more about these technologies, meet the installers and find out how to save money at the ‘Billbuster’ sessions. The Green Home Energy Week website has an easily searchable map to help you find community events and green homes in your area – and register to visit. Soirbheas, along with only 5 other organisations in Scotland, have had their project shortlisted for a chance to win a share of £400,000 on offer from the M&S Energy Fund for community energy initiatives. Soirbheas’ aim is to improve the lives of people in Glen Urquhart and Strathglass by investing in renewable energy projects and using the income to make this remote community more resilient. Soirbheas’ funds have helped local groups to buy much needed equipment, run a range of arts, sport and heritage projects and support activities including trips for the young and old, solar panels for village halls to Pipe Band and sports equipment. The charity wishes to invest in the Shenval Hydro scheme being developed near Loch Ness. The money generated from this particular investment will allow Soirbheas to launch a new Apprenticeship Grant Scheme to provide young people with a modern apprenticeship, encourage them to stay in the area and support local business to develop skilled staff. To give us a chance to win we need your vote – please show your support and vote . Soirbheas, the Glen Urquhart and Strathglass community charity organisation has been names as a potential beneficiary of a grant from the 2015 Mark & Spencer Energy Fund. If successful in winning the funding, community charity Soirbheas proposes to invest in the Shenval Hydro scheme being developed near Drumnadrochit to generate income for the community. Soirbheas’ aim is to improve the lives of people of all ages living in Glen Urquhart and Strathglass by investing in renewable energy projects. The money generated from these is then reinvested back into the community to deliver its vision of a more vibrant, growing and greener community. Support from Soirbheas has helped local groups and organisations to buy much needed equipment ranging from small items such as sports kit to significant installations such as solar panels for a public hall. A range of arts, sport and heritage projects are supported as well as activities including social and educational trips for the young and old. Soirbheas also empowers local people by helping with training, research on assistance required and is currently looking at the roll out of high speed broadband to those areas that will be beyond BT’s reach. The Shenval Hydro scheme has local support and the developer of the project, Green Highland Renewables Ltd, has already secured planning permission for the scheme, which will utilise the Allt Seanabhaile burn on Forestry Commission land near Shenval in Glen Urquhart. Once installed the scheme will have an output of 500KW. The money generated from this investment will allow Soirbheas to launch a new Apprenticeship Grant Scheme for people aged 18 – 25 years. The scheme will assist young people in gaining a Modern Apprenticeship Qualification and encourage them to stay in the area in addition to supporting local business’ growth by developing skilled staff. “We are very excited to have our project shortlisted and encourage the public to show their support and vote for the Shenval Hydro project.” stated Alan James, Chair of Soirbheas. Anyone can register to vote on the www.mandsenergyfund.com website for their local projects, each user can only vote for a project once but may submit individual votes for several projects. Voting opens on 0000 BST 17 August 2015 and closes on 2359 BST 30 September 2015. Working in partnership with Soirbheas have also assisted Glen Urquhart Care Centre to submit an application for the regional prize of £12,500 to install Solar PV to reduce the carbon emission of their building. Voluntary organisations, charities and social enterprises often need some grant or loan funding to carry out their activities. This course will give participants tools to identify potential funders to give them the best chance of funding success.Through group and individual activities this course will cover: getting ready for fundraising identifying sources of information on funding getting the best out of the new free fund search engine, Funding Scotland, to effectively identify a range of funders for your project interpreting fund entries in directories and from online searches collecting and managing your funding information. For more information contact Sandra Hogg on 01463 251729 or email sandra.hogg@scvo.org.uk. As well as cutting costs through transport efficiencies, reducing your building’s energy costs can make a big difference to your bottom line. Support is available through the Resource Efficient Scotland SME Loan which is now open for applications. 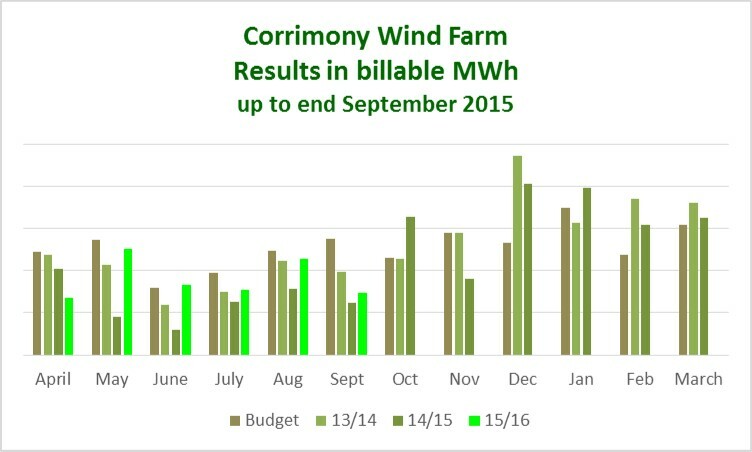 Funded by the Scottish Government, the loan could help your business cut overhead costs through improved energy, material resource and/or water efficiency use. Scottish SMEs, private sector landlords, not-for-profit organisations and charities can apply. The loan is interest free (unless you’re applying for a technology which will receive payments from the Feed In Tariffs or Renewable Heat Incentive schemes, in which case the interest rate is 5%). 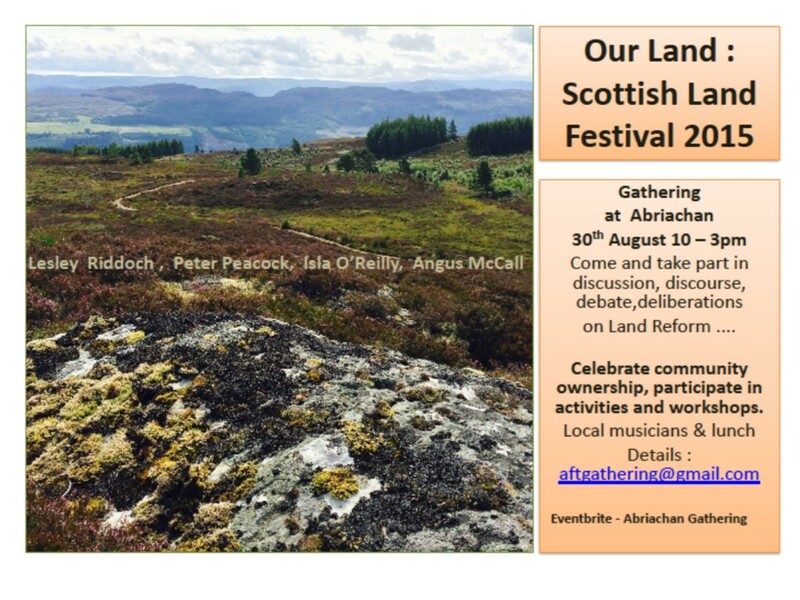 Latest news from Scottish Rural Parliament…. Scottish Government have commissioned additional work from BT to confirm in autumn which areas will and will not get superfast broadband through the BT roll-out. This will then enable those communities unable to access superfast broadband through BT to work with Community Broadband Scotland to identify alternative methods of accessing this essential service. No summer means great wind. Working in partnership with Step It Up Highland Soirbheas is keen to develop a programme of Health Walks in Glen Urquhart and Strathglass. Heath Walks enable people to achieve better physical health, improve mental wellbeing, attain a healthy weight and encourage interaction by socialising with others while enjoying the wonderful outdoors. Health Walks take place weekly and are led by trained volunteers who share their own passion for walking with others who are less likely to walk regularly and so to encourage joining a local SIUH walking group. All walks are free to attend and are led by trained walk leaders who will welcome and encourage new walkers of all abilities. Free training to become a Health Walk Leader will take place in Inverness on 24th June places are limited an must be booked by 11th June. The scheme aims to increase the capacity and resilience of communities and local VCSE organisations to provide people with the support and skills they need. The Fund has a total of £144,500 for 2015/16 to support innovative and creative projects which have a preventative impact in communities, combat inequality and promote social inclusion, and assist work to mitigate the effects of welfare reform. The Fund also aims to support local organisations to work in partnership. SCVO hopes the pilot will inform Scottish Government funding streams to community based organisations in the future. Applicants must have an annual income of £200,000 or less in 2014/15. Expanding/developing an organisation’s capacity in order to meet demand relating to welfare reform. Developing a pilot project which focuses on tackling the impact of welfare reform and inequality. Help bringing organisations together in partnership to support people. Developing people’s ability to prevent them from reaching crisis point. The deadline for applications is 29 May 2015 (5pm). Soirbheas, the community charity focused on investing in the communities of Glen Urquhart and Strathglass, is to celebrate its first 12 months of supporting local groups by holding a birthday party at Cannich Hall on Tuesday 12th May. Guests will include representatives from a number of groups that have benefitted from Soirbheas’s grant programme so far, including local school children and users of Cannich Hall who are keen to show off the new PV Solar system and mark the progress of the hall taking another step towards going ‘green’. Soirbheas was formed to secure benefits from local renewable projects in Glen Urquhart and Strathglass for the benefit of the community. The income generated is invested through the Soirbheas grant programmes and direct delivery to generate a more vibrant, growing and greener community. Glen Urquhart Piping Society – Purchase of drums, harnesses and cases. “One year on and we are delighted with the response we have had to the grant programme, it’s very evident that there is a great deal of activity and high aspirations in our area. We are keen to work with a wide range of groups in our community to maximise the benefit and strengthen our communities,” stated Alan James, Chair of Soirbheas. More than 50 primary and secondary school pupils, plus representatives from all the groups that have been awarded grants over the last 12 months, have been invited to attend the party and a special birthday cake has been prepared. The event will include party games with a twist to get across the importance of energy saving/renewable energy. Though not all projects meet with Soirbheas’s funding objectives, the charity can still assist groups by helping develop projects or identifying other grants/match funding or partners. Soirbheas encourages local groups to check out the funding section on the website www.soirbheas.org which highlights some other funding opportunities or get in touch with the charity’s Community Development Officer, Carol Masheter carolmasheter@sorbheas.org for guidance. Course details: This hands on course is open to representatives from community groups who wish to develop their own community path projects. This free one day course is designed to give you an overview of key stages involved in the planning development and delivery of any community path project. The Scottish Government has confirmed today that the Home Energy Scotland renewables loan will continue in the financial year 2015-2016 and the scheme has now reopened. The scheme is unchanged with the same terms and conditions, eligibility criteria, payment amounts and periods as previously. It continues to operate on a first come first served basis subject to availability of funds. For latest information, please look at the Energy Savings Trust website. *Dates or times may be subject to change, please check with venue. Schools and groups involved intend to use the funds from the sales of seed potatoes to support other growing projects, so come on lets get growing! Thanks go to Transition Black Isle for their valuable help and support in sourcing the seed potatoes for the Tattie Project. Have you booked your place yet? Come along and find out what funding might be available for your group or activity. Places are limited please pre-book by completing the online form or emailing carolmasheter@soirbheas.org with your preferred date. Could Your Group be Missing Out? Since the Soirbheas grant programme was launched in April 2014, £23,539.15 of grant funding has been awarded to local groups (see grants awarded) in Strathglass and Glen Urquhart. It’s very evident that there is a great deal of activity and high aspirations in our area, though not all projects meet with Soirbheas funding objectives, we can still assist groups by: helping develop projects or identifying other grants/match funding or partners. Check out the funding section on the website which highlights some other funding opportunities or come to a Funding Opportunities Session: Tuesday 24th March 7.30 at Craigmonie Centre, Drumnadrochit. Monday 30th March, 7.30 at Cannich Hall. Places are limited—please pre-book by emailing: carolmasheter@soirbheas.org or calling 0751 445 2783. Local communities, residents and businesses along the route are thanked for their patience for your support and patience. January was a good month even though there were difficulties due to the storm early in the month and the following snow. Two turbines were out for about ten days with the main problem being the snow preventing engineers getting out on site. Hopefully insurance will compensate for some of the loss. December was a good month again! 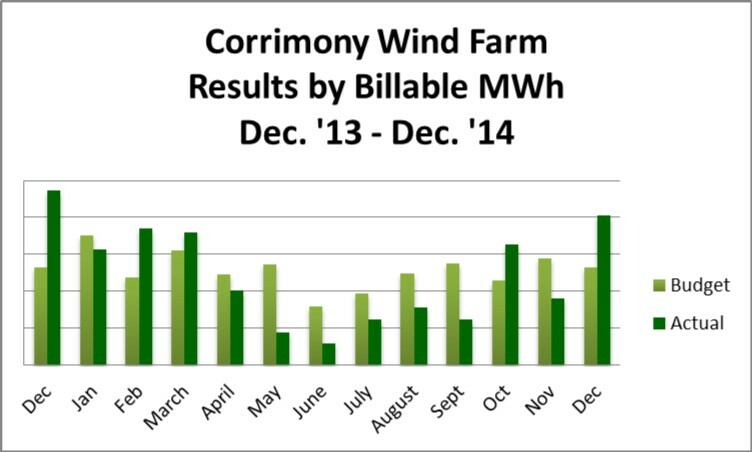 Interested in reducing your electricity bill? 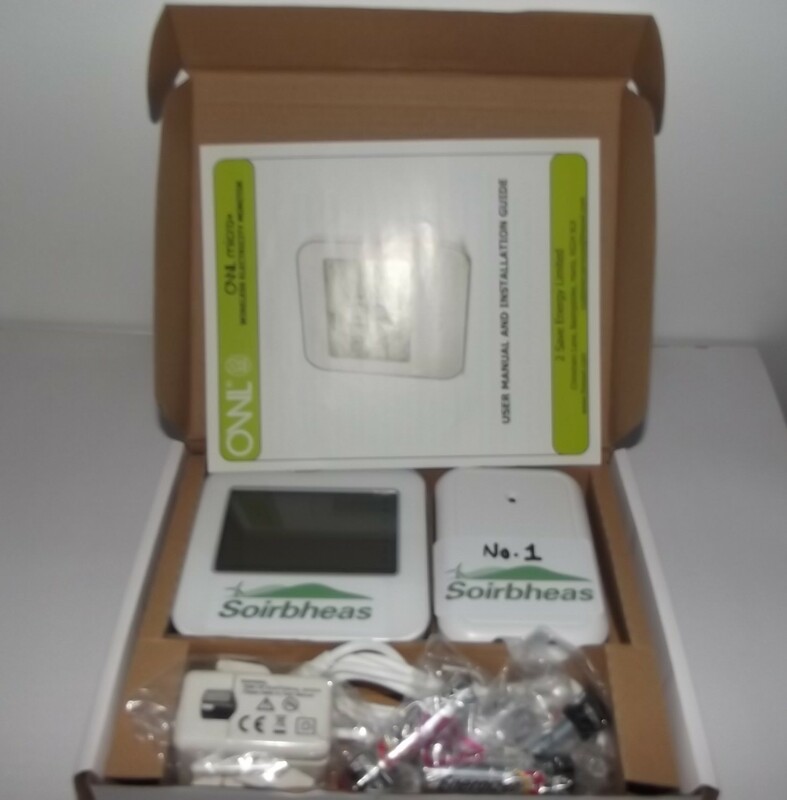 Soirbheas has recently purchased several energy monitors to loan out to households in GlenUrquhart or Strathglass. They are simple to install and will help you identify which appliances are using the most energy! If you would like to borrow one please get in touch info@soirbheas.org or call 0751 445 2783. Carbon CLEVER Cycles is a collaborative project between the Highland Council, SSE and Co-wheels Car Club, which allows you to hire an electric bike (e-bike) in Inverness. An e-bike is a bicycle which can be powered by electricity as well as propelled by pedals. Each bike has an integrated electric motor which can be used for propulsion, allowing you to tackle hills or headwinds with greater ease than traditional cycles. You can hire a Carbon CLEVER Cycle from Falcon Square or Highland Council HQ on Glenurquhart Road, Inverness. Prices start from just £1.75 per hour. Simply register for the service and book your e-bike online from the Co-wheels website. Alternatively, call the 24/7 hotline number 0191 375 1050. Each locker contains all you need for a safe and comfortable ride, including helmet, hi-vis vest, pannier and 13amp portable charging kit. The aim of the Awards is to recognise and celebrate best practice in waterway improvements throughout the UK. Entries are welcome from regeneration projects, schemes or initiatives of any size from across the UK that are located on, or immediately adjacent to, an inland waterway. All finalists are invited to attend an awards ceremony and dinner. how the project is providing the catalyst for other projects or schemes. Contribution to the Built Environment. The deadline for entries for the 2015 Awards is 13 March 2015. The Awards Ceremony will be held in October 2015. For more information, see the Canal & River Trust website. What would your perfect community look like? What would your perfect community look like? Soirbheas is asking this very question as part of researching the needs of the elderly and vulnerable living in our communities. The research will used by Soirbheas and partner organisations to identify needs, gaps in services and provision as well as mapping the current quality and level of activities and services that already exist. You can help us shape the future of Glen Urquhart and Strathglass to make your community a more vibrant, growing and greener community by taking part in the research, simply completing one of the questionnaires below. Or if you are active as a volunteer, work or provide services for the elderly, vulnerable and young you can also take part in one of the focus group. To find out more please contact Carol Masheter carolmasheter@soirbheas.org or 0751 445 2783. Soirbheas has teamed up with Home Energy Scotland to offer free home visits in home owners in Glen Urquhart and Strathglass by a specialist energy advisor who will provide confidential and impartial energy advice tailored to your home. If you own your own property and want to find out how to lower the cost of keeping warm and the best energy solutions suitable for your property, Home Energy Scotland can help. How to get the most out of your heating and hot water system including how best to use heating controls. 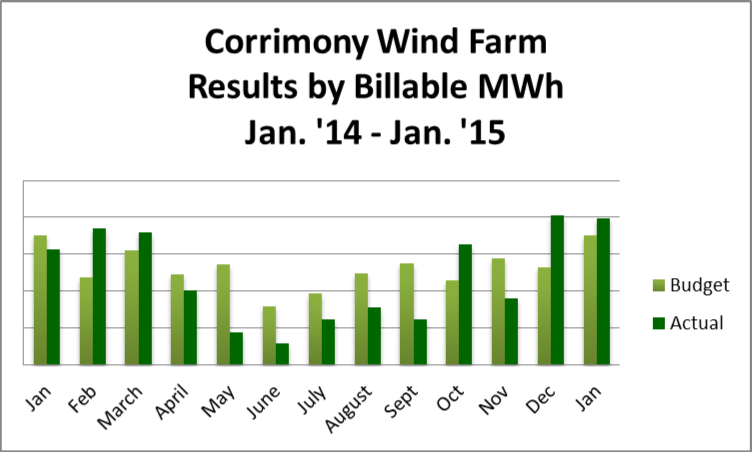 What energy efficiency measures and renewables systems will suit your home. What financial incentives are available to help. Energy and money saving tips. How to combat condensation or dampness. Book your free home visit now by calling Rabia Arooj on 01463 259714 or email Rabia on rabia.arooj@hi.homeenergyscotland.org. Challenge Fund – This year, supported by the Scottish Government and ERDF, awarding a total of £200,000 to community digital participation projects across Scotland. This will enable groups and organisations to digitise content, build digital networks and improve the digital skills of their members, so that they can continue to thrive in the digital world. Awards range from £200 to £10,000. Awards over £10,000 will only be considered in exceptional circumstances. For more information please see the guidance notes or email digital@scvo.org.uk. Within 48 hours you will recieve an email with your user name to login to the online Challenge Fund Community where you will be able to populate, edit and submit your application. Go For It – is about funding change in church and community. The Fund aims to encourage creative ways of working which develop the life and mission of the local church and are transformative for both communities and congregations. The focus is very much on ‘the local’ and any application must be able to demonstrate clearly its association with at least one Church of Scotland congregation. Part of a successful application to Go For It will be the demonstration of a commitment to good partnership working. Applications are welcomed from Church of Scotland congregations or organisations very closely associated with them. You will also need to show how you are actively working with other partners, including other churches, to bring about change. Find out how to apply for a Small Grant here. Find out how to apply for a Main Grant here. The Scottish Government is inviting farmers and crofters to register for a new online system for rural funding which replaces Rural Payments Online. 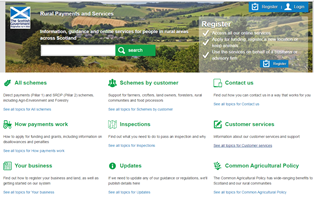 The new Rural Payments and Services website launched this week and will deliver nearly £4 billion of support to Scotland’s farming, food and rural sectors over the next five years. Cabinet Secretary for Rural Affairs Richard Lochhead said, “The new Common Agricultural Policy (CAP), which was implemented on January 1, is radically different to the previous policy so we needed a new on-line system. Producers can register by visiting https://www.ruralpayments.org.